Discussion in 'Gaming Events' started by Press Release, Oct 30, 2018. The Grand Finals of the Globe Philippine Pro Gaming League Season 3 is heading to the Glorietta 2 Activity Center in Makati Philippines on November 17-18, 2018. 4 League of Legends teams, 4 Arena of Valor teams, and 8 Tekken 7 fighters will engage in battle over the two-day esports event. The competitors will be fighting over the combined PHP 400,000 cash prize pool. MANILA, Philippines, October 23, 2018 — The inaugural season of the Globe Philippine Pro Gaming League, the country’s biggest multi-platform esports league, concluded in a grand two-day live event at the Glorietta 2 Activity Center in Makati Philippines. It was an amazing event full of high-stakes esports action that saw the rise of several esports stars from Tekken 7’s PBE|AK to Arena of Valor’s BREN Esports. It has been two full seasons since the launch of the country’s biggest multi-platform esports league and now the third season is slowly approaching its own grand finals. 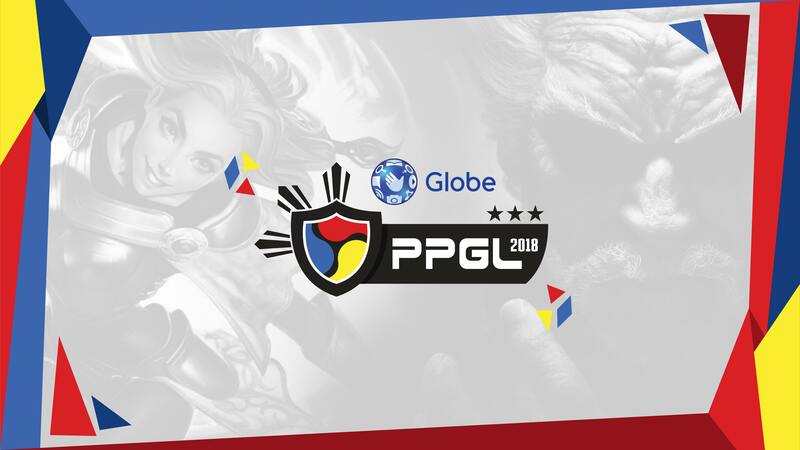 The Season 3 Globe PPGL grand finals will return to the Glorietta 2 Activity Center with three esports titles, League of Legends, Arena of Valor, and Tekken 7. There will only be one team for LoL and AOV, and one player for Tekken 7 that will earn the right to be called the country’s best. Teams and players from all across the Philippines have been put to the test with only the best competitors from each esports title earning their place in the grand finals. The esports hopefuls started out with the various qualifiers in different cities to make it to the Online Playoffs, the first hurdle towards playing in front of an electric esports crowd live at the heart of Makati City. The Online Playoffs for both LoL and AOV have wrapped up on October 21, 2018 with the rest of the Tekken 7 competitors set to be determined in the upcoming two Tekken 7 Metro Manila Qualifiers at Circuit Makati. The upcoming Season 3 Grand Finals is shaping up to be an exciting event with the return of a few well-known combatants from the previous seasons. The reigning Tekken 7 champion from Season 1 and 2, Alexandre “PBE|AK” Laverez, has successfully qualified through the Cagayan De Oro Qualifier. The first runners up from the Season 1 Arena of Valor tournament, BREN Esports, is back with a vengeance as they look to secure the championship that was denied them in the inaugural season of the league. BREN famously tore through the qualifiers and the playoffs of the first Globe PPGL before ultimately falling at the hands of the Clutch Guild. League of Legends’ defending champions, Mineski, have come out on top of the Online Playoffs to secure a place in the top 4 teams of the tournament. Mineski will face off against fellow professional organizations, TNC Pro Team and Imperium Pro Team, along with newcomers ISC. The final stage of the league will take place in a live event on November 17-18, 2018 at the Glorietta 2 Activity Center in Makati, Philippines. Follow the official PPGL website and Facebook page to keep up to date with all the updates on the country’s biggest multi-platform esports league. Catch all of the esports action live on the official PPGL Twitch channel. Since magsasara na Garena involved pa ba sila sa event na to? eto ba ung nag pondo ng 50m sa garena?